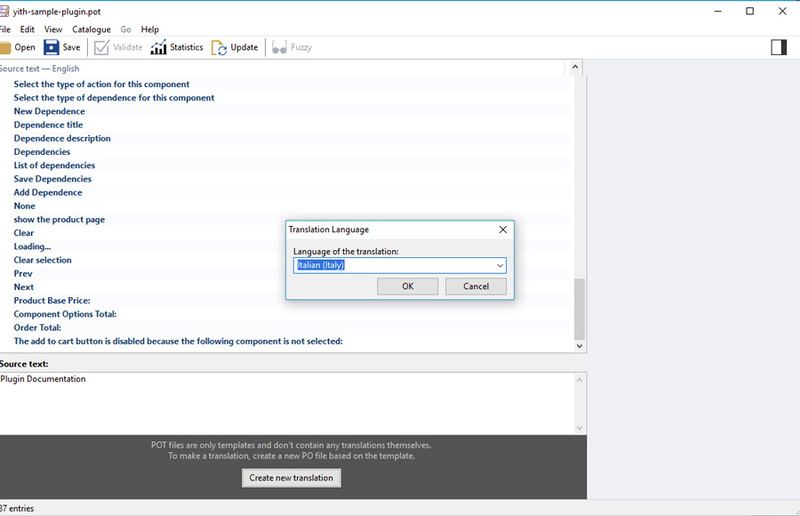 Here you can learn how to translate your product language files manually. This process requires you to translate the .pot file included in the "languages"folder of the plugin and to set your WordPress site with the matching language. Let's see how to proceed step by step. First of all, you have to change the language of your WordPress platform so you can display the translated plugin. Go to your WordPress Dashboard > Settings > General > Site Language and select your language and then Save. Your site language will be updated. 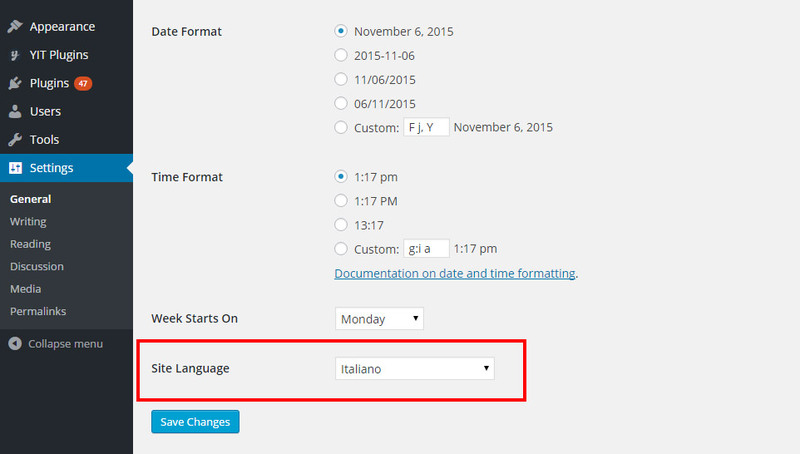 Now all WordPress options will be showed in the selected language. The original language file of the plugin is yith-woocommerce-authorize-net-payment-gateway.pot and it is included in the "languages" folder of the plugin. If it does not include your own language you have to translate following these steps. Download Poedit, the software through which you can translate the plugin text strings. Now open the file yith-woocommerce-authorize-net-payment-gateway.pot and click on the "Create new translation" button. 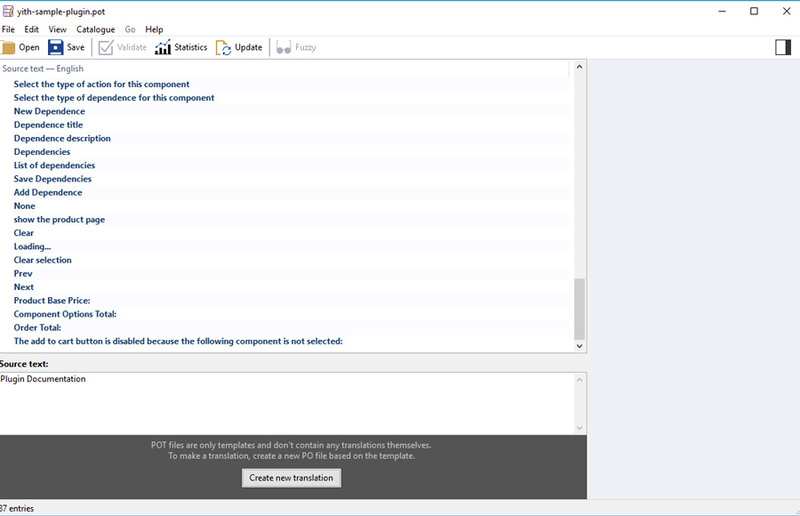 Select the language in which you want to translate the plugin. Now translate the strings one by one. Once finished, click on the "Save" button and rename the file adding the slug of the plugin to the suggested file name (e.g., yith-woocommerce-authorize-net-payment-gateway-it_IT). If everything worked fine, the .po and .mo files will be created automatically in the "languages" folder of the plugin. If you want to display your new language in an online installation, don't forget to load both files (.po and .mo) via FTP.